Tallahassee, Fla.—Today, during the Florida Hospice and Palliative Care Association’s (FHPCA) third quarter Board Meeting & Retreat at Eau Palm Beach Resort & Spa, Legislative Aide Karen Sweeney accepted the Hospice Champion Award on behalf of Florida Representative Gayle Harrell. FHPCA recognized Representative Harrell’s role in serving as a champion for hospice and palliative issues during the 2017 Legislative Session. Representative Harrell has over 16 years of public service and over 28 years of experience in healthcare. She served on the Treasure Coast Hospice Board, now known as Treasure Health. During the 2017 regular session, she sponsored FHPCA’s bill “An Act Related to Hospice” (HB 539). The bill was passed into law and addresses quality measures, prescription drug disposal after a patient’s death, and obtaining records after death. Representative Harrell’s district (83) includes parts of Martin and St. Lucie counties. The hospice programs serving those counties are Hospice of Okeechobee and Treasure Health. FHPCA is a not-for-profit, IRS Section 501(c)(3) organization representing hospice patients and families, hospice professionals and hospice providers. 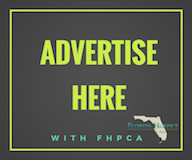 FHPCA strives to assure excellence in, and expand access to, hospice and palliative care, and advocates for the needs of those in the final stages of life.For more information, please visitwww.LetHospiceHelp.org and https://www.floridahospices.org/. Follow FHPCA on Twitter at @FlHospicesPC and on Facebook at www.facebook.com/FloridaHospices.